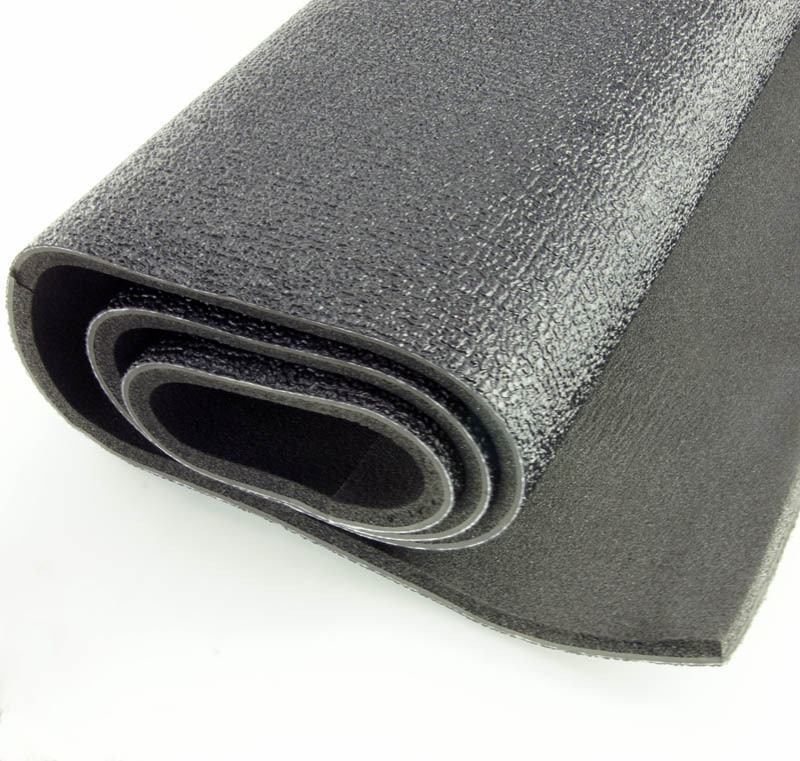 DYNADECK is a Charcoal-coloured, durable, waterproof, carpet replacement or underlay combining high thermal insulation with low-frequency exhaust noise rejection. The top layer is a 1/8" thick, heavy, deep-twist, embossed vinyl that matches the textured floor pattern of many vintage cars. This is bonded to a 1/4" thick, closed cell rubber layer to reduce engine and exhaust heat, and road noise. It does not absorb water so is ideal for use in Kit and Vintage Cars and Convertibles, Trucks and Off road vehicles. DynaDeck is simple to install. It is thick and heavy so no adhesive is needed. Because of this, DynaDeck can be easily moved and reused.